The value of goods shipped to and from non-EU countries through East Midlands Airport (EMA) hit a record high in July 2018. £975m worth of products were transported to 196 different territories and countries across the world. This is an increase of £148m compared with July 2018. In the 12 months to July, the total value of non-EU goods handled at EMA exceeded £10bn* for the first time ever. Of this, £5.3bn was exports. Through EMA, and its connections to air cargo hubs in Europe and the USA, UK businesses export all over the world. Latin America, Asia, North America and the Middle East are some of the biggest regions for exports. East Midlands Airport is the UK’s busiest for dedicated air cargo traffic. It is second only to Heathrow in terms of the total tonnage of cargo that passes through it annually. Its role in facilitating global trade makes it a key national asset. As a driver of regional growth too, it has been key to the rapid expansion of the SEGRO East Midlands Gateway (EMG) Logistics Park next door. When the logistics park is fully operational, the East Midlands Gateway will be one of the UK’s most strategically important sites for rail, road and air freight. The site’s growth is being driven by EMA’s significance as the UK’s busiest airport for dedicated freight aircraft. 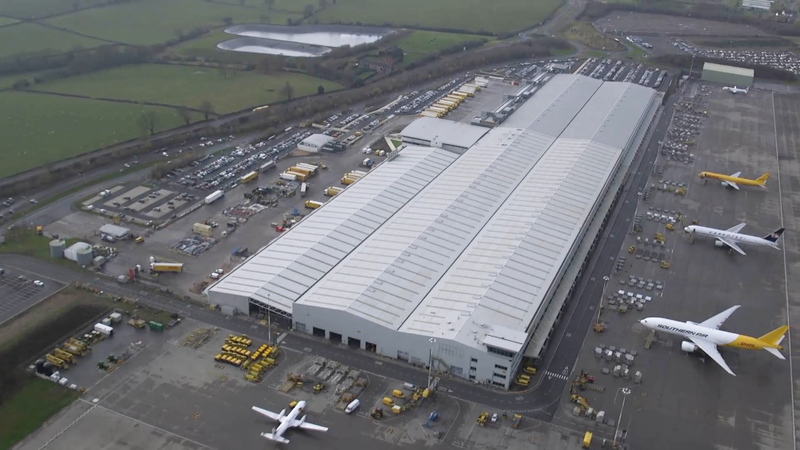 Eight thousand people are currently employed across the East Midlands Gateway, which includes the airport campus (EMA and Pegasus Business Park), Donington Park and Marks and Spencer. In the next few years this figure is likely to double with the creation of the SEGRO Logistics Park. East Midlands Airport sits at the very heart of the country, with over 90% of the population of England and Wales within a 4-hour drive. This is why it is home to logistics giants such as DHL, UPS, Royal Mail and FedEx/TNT and is a perfect neighbour for the EMG Logistics Park. EMA has partnered with Birmingham Airport and Midlands Connect to showcase the Midlands region during the party conference season. This comes after a recent flurry of visits to the East Midlands from Cabinet Ministers, MPs and business leaders which has helped put EMA and the neighbouring Gateway firmly in the sights of Government and key decision makers.